You may have read that the last day of 2013 is scheduled to be the last day for an estimated 57 different tax deductions–unless the U.S. Congress turns its attention away from the next potential government shutdown and extends some or all of them. 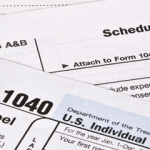 All of these deductions will be available to the 2013 tax return that you file by April 15. But as it stands now, they won’t be available next year, creating a stealth tax increase in 2014. How will this impact you? Only a few of the 57 are relevant to you at all, unless you qualify for the American Samoa Economic Development Credit, the “special expensing” rules for film and television production, the mine rescue team training credit or special three-year depreciation for your race horses that happen to be two years or younger. You probably do, however, claim deductions for state and local taxes, which expire at the end of the year, and people with kids and/or grandkids in college might miss the above-the-line deduction for tuition and related educational expenses. Many Americans will be at least slightly affected by the loss of the deduction for mortgage insurance premiums, and some retired Americans over age 70 1/2 will be distressed to learn that they can no longer make tax-free distributions of up to $100,000 from an IRA account to their favorite charity. School teachers will lose their classroom expense deductions of up to $250 for unreimbursed expenses. And thousands of homeowners whose homes are listing below what they paid for them should realize that, at the end of December, they will lose a provision that lets them exclude from their taxable income any reduction in their mortgage obligation (through debt modification or a short sale) up to a maximum of $2 million. -Enhanced tax breaks for people who donate property (or easements on their property) to the Nature Conservancy or a local land trust. -Tax credits for the purchase of 2- or 3-wheeled electric vehicles and a separate credit of $7,500 for those who buy certain 4-wheeled electric vehicles like the Ford Focus Electric and the Nissan Leaf. -A maximum $500 tax credit for making certain energy-efficiency improvements in your home (like adding insulation), plus other credits for constructing new energy-efficient homes and a credit for energy-efficient appliances. The biggest expiring corporate tax break is the research and development tax credit. At the end of the year, companies will also lose the additional first-year depreciation for 50% of the basis of qualified property. In the past, Congress has allowed tax provisions to expire and then, retroactively, extended them for another year or two–and many tax observers believe this will almost certainly happen with the state/local tax deduction and corporate R&D tax credits, and quite possibly for the tuition tax credit as well. So when you read about the 57 expiring provisions, and you are not in the biodiesel fuel business (four expiring credits) or planning to claim the electricity production credit for building a renewable power plant, or actively mining coal on Indian lands, you shouldn’t get too excited. Chances are you aren’t going to get hammered on next year’s taxes–and Congress may even get around to extending the provisions that you really care about. As a taxpayer who is currently building a house and paying substantial excise and sales taxes for the many materials, appliances, and labor invloved it should be noted to anyone that has gone through this in the last year that they may have a substanial one time deduction. Also you may want to go ahead with any big ticket purchases before the end of the year rather than putting them off to 2014.